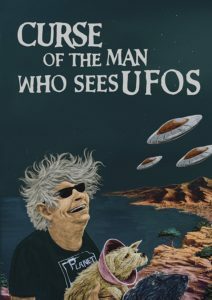 “Curse of the Man Who Sees UFOs” (2016, Virgil Films) What to make of this curious documentary by first-time director Justin Gaar? At first blush, the subject matter seems ready made to dismiss: Christo Roppolo, former industrial rocker and one-time microbudget horror filmmaker, spends his days documenting what he claims are almost nightly sightings of UFOs hovering over his home town of Pacific Garden and the Monterey Bay area. He’s compiled hours of footage of these mystery objects – distant, indistinct lights that could be anything from helicopter searchlights to camera flares. Roppolo himself- motormouthed, seemingly on the spectrum and apparently unable to view his “brothers from space” without swearing (he puts the curse in “Curse of…”) – seems like irrefutable proof to pass off his claims and videos as crackpot material. But as Gaar notes, there’s something about the footage – the way the lights move in geometric formation, for one – that makes it hard to entirely smirk away. That in turn lends a bit of credence to Roppolo himself, who despite enduring Dickensian emotional abuse by members of his family, possesses an unwavering faith in and connection with the alleged space visitors; by believing in them, it seems, Roppolo is able to believe in himself. By the end of the picture, Gaar (who also provides genial narration) remains unconvinced of Roppolo’s claims, but both he and viewers are more than sure – and quite possibly glad – that they’ve spent time with a very (make that VERY) unique individual. 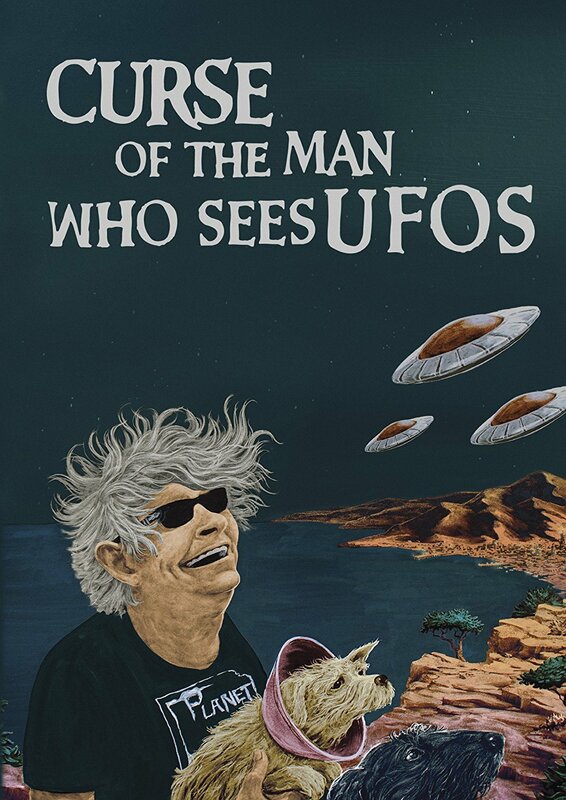 The Virgil Films DVD includes long, unedited segments from Roppolo’s UFO footage; again, there’s nothing that will make a true believer out of anyone, but for the very patient, there are a few moments that might raise an eyebrow. 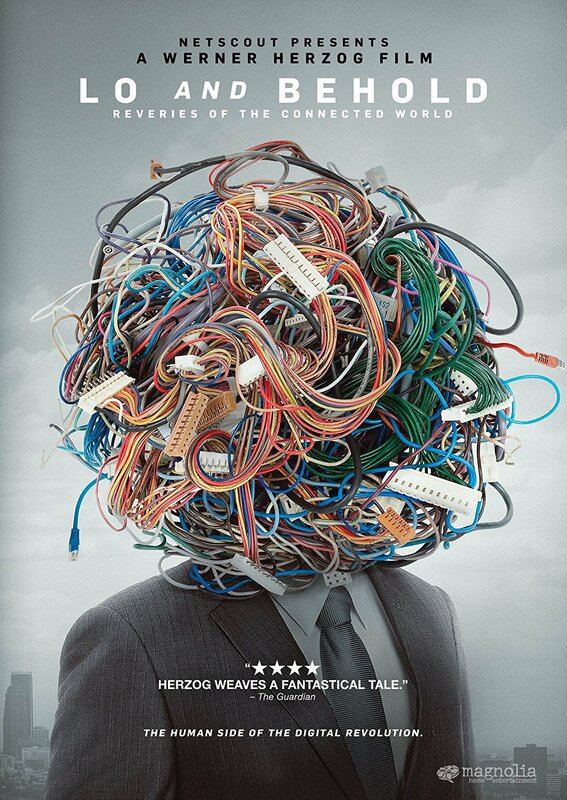 “Lo and Behold, Reveries of the Connected World” (2016, Magnolia Home Entertainment) That the Internet is a wondrous and horrible place should come as no surprise to anyone; no doubt, you saw at least five examples of each on your way to this site. Werner Herzog agrees with this assessment, and in this new documentary, details its development from a primitive means of computer communication in the late ’60s to its current and constantly developing status as a global bazaar for everything from scientific research to cat videos. But “Lo and Behold,” which unfolds as a series of elliptical chapters, focuses less on the chronology of the Internet and more on the elements that spark the director’s curiosity – specifically, how we co-exist with the Internet, which Herzog views as an entity unto itself, and how it shapes our emotions and perceptions. Given the technology’s propensity for equal amounts of tremendous good – a puzzle game that aids scientists in exploring protein structure – and more malevolent behavior (the army of trolls who torment the family of a teen killed in a car accident by circulating crash scene photos), Herzog allows viewers to decide which direction we are being led by our reliance on the Internet. Fans of his previous documentary efforts (“Grizzly Man”) will appreciate his cool fascination for the more outré aspects of his subject; those visiting Herzog’s unique worldview for the first time will find his exploration intelligent, emotionally fueled and often poetic. The widescreen Magnolia DVD includes the original trailer and a conversation with Herzog, who further details his thoughts on the moral qualities of the Internet, among other issues. 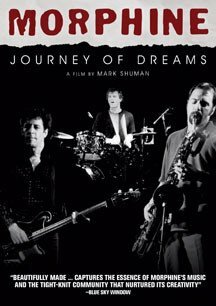 “Morphine: Journey of Dreams” (2016, MVD) is an excellent overview of the Boston-based “low rock” trio Morphine, which enjoyed all-too-brief stardom during the ’90s before the untimely death of its frontman, Mark Sandman. Director Mark Shuman assembles a tremendous amount of material, from interviews with the surviving band members to performance clips and tour diaries, to trace the band’s ascent from college rock favorites to major label artists, with all the tension expected from such a transition. Those curious about the inspiration behind Sandman’s noir-steeped lyrics won’t find much by way of biography on the singer, but testimony from admirers like Henry Rollins and Steve Berlin, as well as plentiful concert footage, underscores the deep emotional connection to Morphine’s music that remains more than two decades after the band came to a close. I’ll also put in a second and hearty vote for “The T.A.M.I. 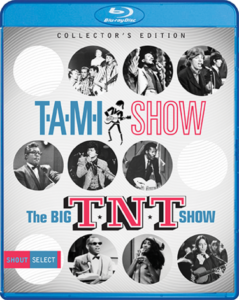 Show/The Big T.N.T. Show” Blu-ray from Shout Factor; Bob already detailed the many pleasures of this legendary, long-out-of-print double bill of pop, rock and soul acts performing live before insanely enthusiastic audiences circa 1964 and 1966 here, but there are moments that are worth repeating, like the Beach Boys sparking a near riot with “Dance Dance Dance” and “I Get Around”; a chance to see Moulty, the hook-handed Barbarians drummer in action on “Hey Little Bird” (and not, oddly, their sorta-hit “Are You A Boy or Are You a Girl?”); Roger Miller blasting a heckler out of his seat (“HIPPIE!”); every frame of Bo Diddley, Ike & Tina and Ray Charles in “T.N.T.” and of course, the seismic face-off between American soul (James Brown) and British R&B (Rolling Stones) that concludes “T.A.M.I.” The Blu-ray is uncut and worth whatever ducats you have to spare. Oh, and R.I.P. Don Waller, who shares commentary with “T.N.T.” Steve Binder and penned the excellent liner notes. 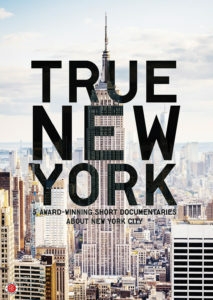 And: “True New York” (2016, First Run Features) compiles five short documentaries on unheralded Gotham people and places; the subjects include the city’s oldest cab driver, a 100-foot cliff overlooking the Harlem River that serves as a rite of passage for generations of local kids, and a young Bangladeshi-Puerto Rican seeking to fit into either of those reserved cultures. The shorts, all award winners, are fast and fascinating, and worth a look. 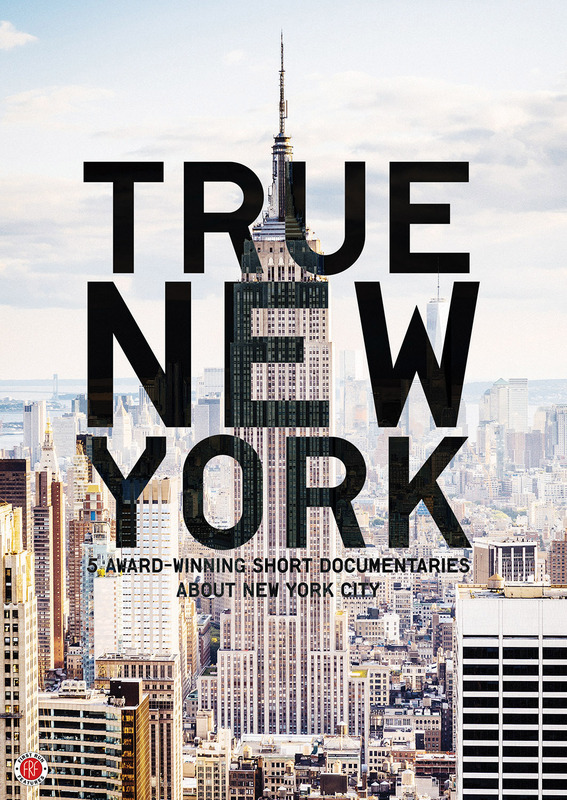 First Run also has the 2016 documentary “When Two Worlds Collide,” which won a World Cinema competition prize at Sundance for its coverage of a brutal fight between government forces in Peru taking over protected land for industrial development and the native people who live there. It’s a one-sided argument, for sure, but a compelling one, and the clashes between both sides – both verbal and physical – are gripping. 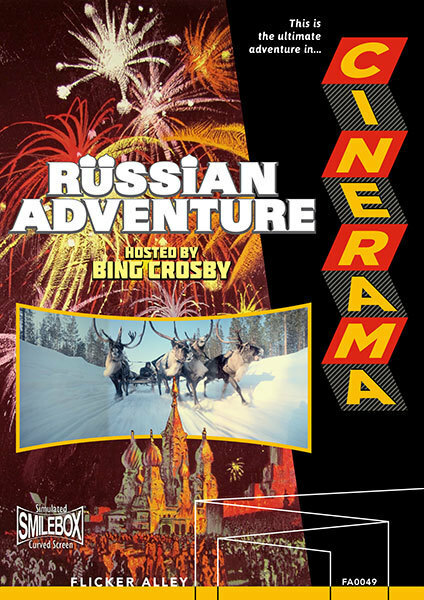 Meanwhile, “Russian Adventure” (1966, Flicker Alley) is not a polite euphemism for Donald Trump’s foreign policy, but rather a visually gorgeous travelogue depicting Cold War-era Soviet culture in the extraordinary three-panel Cinerama format. Compiled from footage shot by Soviet directors in their own homegrown Cinerama process (Kinopanorama), the film – the last of the Cinerama travel features – explores the ornate architecture of Moscow and the sprawling landscape of the country, both of which benefit from the massive Cinerama presentation. The Politburo-sanctioned content, which strives to present the U.S.S.R. as a thriving and diverse world power (and not a soul-crushing, repressive regime), which sounds almost believable in the sugar-honey-crisp tones of narrator Bing Crosby; it’s amusing until you think about what’s not being said or shown. Flicker’s Blu-ray/DVD includes a ton extras, including featurettes on the reconstruction of the original film (which was apparently a bear due to multiple sources in various states of disrepair) and producer Hal Dennis via interviews with his songs Craig and Hal Jr.; Cinerama shorts on Switzerland and the Concorde and a battery of promotional material (trailers, ads and publicity material, as well as a reproduction of the lavish promotional booklet) are also included. Flicker also has “The Best of Cinerama,” which compiles newly restored scenes from previous Cinerama releases (all of which are available on Blu-ray from Flicker) with an array of shorts (including a promotional film for Shell Oil and a visit to Cape Canaveral) and interviews with the reconstruction team and original editor Norman Karlin. This entry was posted in Movies and tagged First Run Features, Flicker Alley, Magnolia Home Entertainment, Music Video Distributors, MVD, shout factory, Virgil Films. Bookmark the permalink.